Milwaukee Business Journal – Stopping work on the planned I-94 East-West freeway reconstruction project will make it more difficult to attract additional economic development to Milwaukee and Waukesha counties and hurt the region’s efforts to grow, the leader of the area’s largest commercial real estate group said Monday. 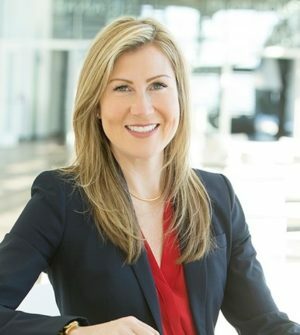 “Having an old, deteriorating freeway section that is congested, unsafe and woefully inadequate harms our members’ ability to close deals, lease and sell space and interest new business in the area,” said Tracy Johnson, president and chief executive officer of the Commercial Association of Realtors Wisconsin (CARW). CARW announced the reconstruction of the I-94 East-West corridor will be its top legislative priority in 2017-18. Gov. Scott Walker’s proposed budget calls for a halt to the I-94 project. The state has a $1 billion shortfall in its transportation fund debt and Walker and Republicans in the Legislature are at odds over how to address it. Some Republicans in the Legislature want to consider a gas tax increase, registration fee increase or tolls, but Walker has said he will veto any budget that includes a gas tax or vehicle registration fee increase without a corresponding decrease elsewhere. The I-94 East-West project is expected to cost more than $1 billion. The I-94 project would rebuild a 3.5-mile stretch of the freeway between 16th and 70th streets, which was originally built in the 1960s. The stretch is a main artery for commerce in the state of Wisconsin and carries between 140,000 and 160,000 vehicles per day – 30,000 more than its 1950s-era design intended, according to CARW. Planning and engineering to rebuild the outdated corridor has been ongoing since 2012, and was expected to continue with construction anticipated in 2018-19. Jeff Hoffman, CARW’s immediate past board chairman and a principal at the commercial real estate firm of Cushman & Wakefield / Boerke, said a good transportation network is key to economic growth and job creation and consistently ranks as a top issue among business executives determining desirable locations for commercial investment. CARW members met with members of the Wisconsin Joint Committee on Finance and other legislators to discuss the East-West corridor and additional outreach is planned, Johnson said.